The 2019 World Jigsaw Puzzle Championship (WJPC) will be held from 27 to 29 September. The tournament consists of 3 tests, during the first day the title is played by teams (4 people) during 8 hours with puzzles of 1,000 to 2,000 pieces. On the second day passes the test for couples (10:00h) and Individual (12:00h) with a puzzle of 500 pieces. 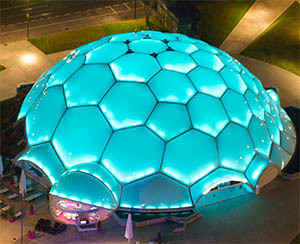 The competition is held at the Millennium Dome, Valladolid (Spain). The Jigsaw Puzzle European Championship will be held on 26 and 27 October 2013 in Hannut (Belgium). Sophie de Goncourt, winner of the Jigsaw Puzzle Spain Open Championship 2012. The Russian team, winner of the Jigsaw Puzzle European Championship.